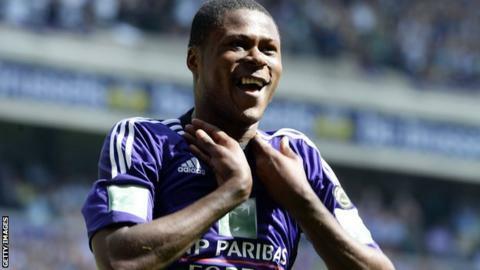 Newcastle United have agreed a deal to sign Anderlecht defender Chancel Mbemba, subject to a work permit. The DR Congo international agreed personal terms and completed his medical with the Premier League club. Mbemba, 20, is under investigation from Fifa because of discrepancies over his age. He is Newcastle's third deal of the summer after signing attacking midfielder Georginio Wijnaldum and striker Aleksandar Mitrovic. "The documentation required in order for Mbemba to obtain a visa has been submitted to the Football Association," Newcastle said in a statement. Mbemba made 28 appearances for the Belgian side last season, who finished third in the league.